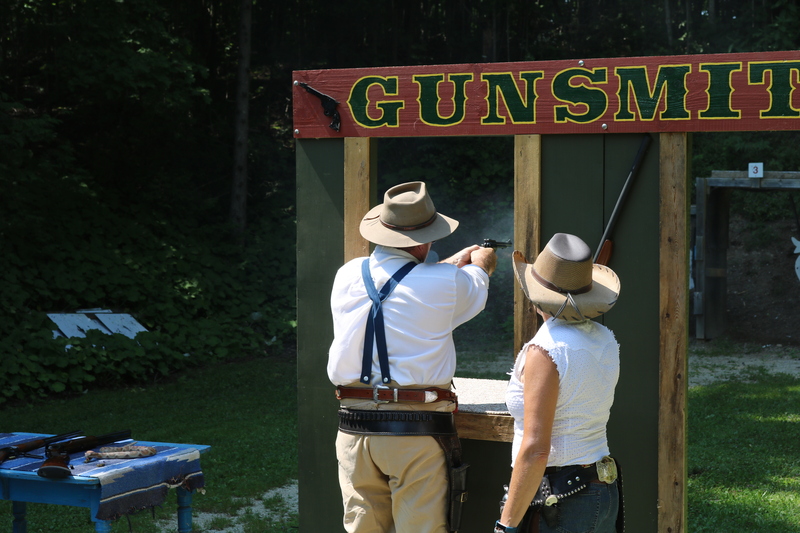 You want to know more about Cowboy Action Shooting. Or just want to come out and have some fun. 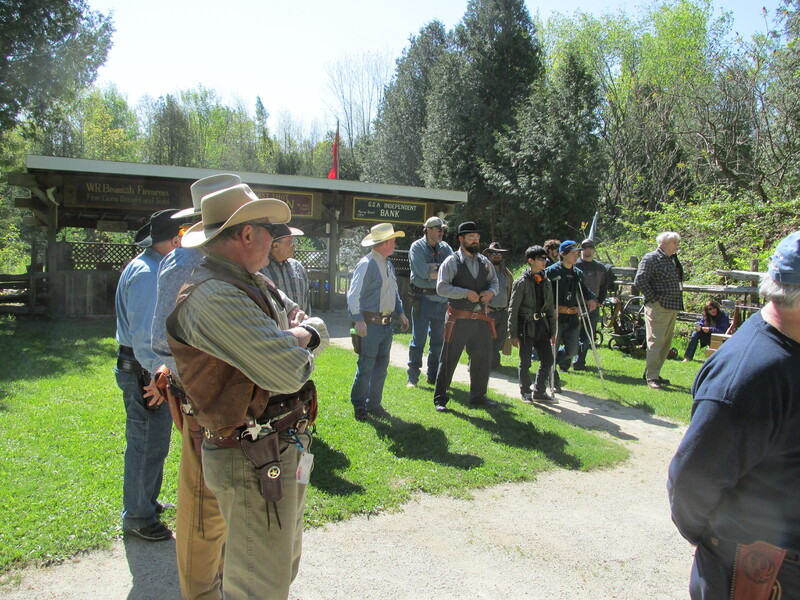 Cowboy camp on Saturday May 25th. We will supply the ammo and the guns. Details will be out early May. We will be hosting Single Actions Sundays again in 2019. Show up at 11:15-12:15. Register and have lunch. Safety Meeting at 12:40. Cost $15 plus $5 for lunch. And yes Autumn Thunder on Saturday September 21st! More details in August. 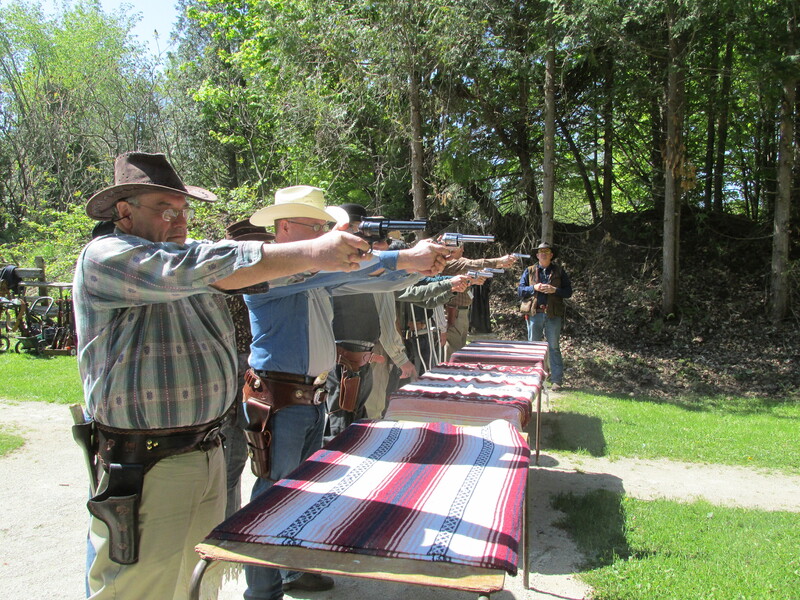 Cowboy Camp held in May was another great success. 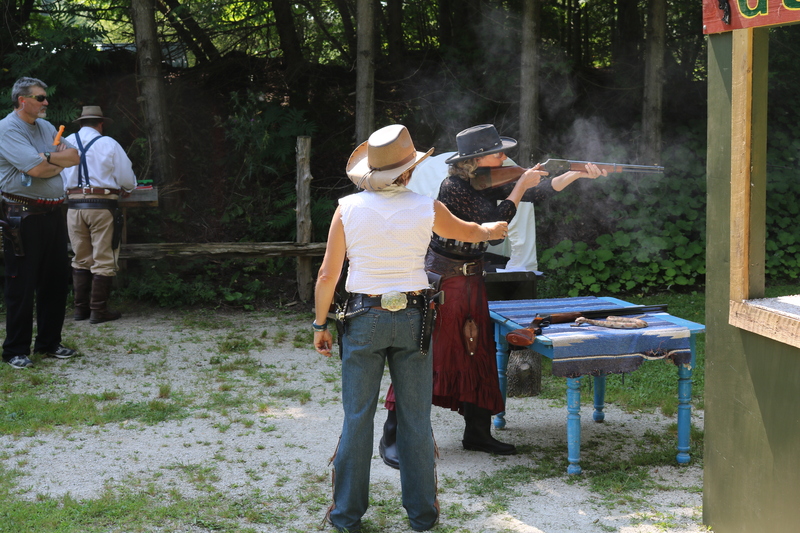 Fifteen new cowboy action shooters was given a full day of training. Many will be joining the Bounty Hunters. 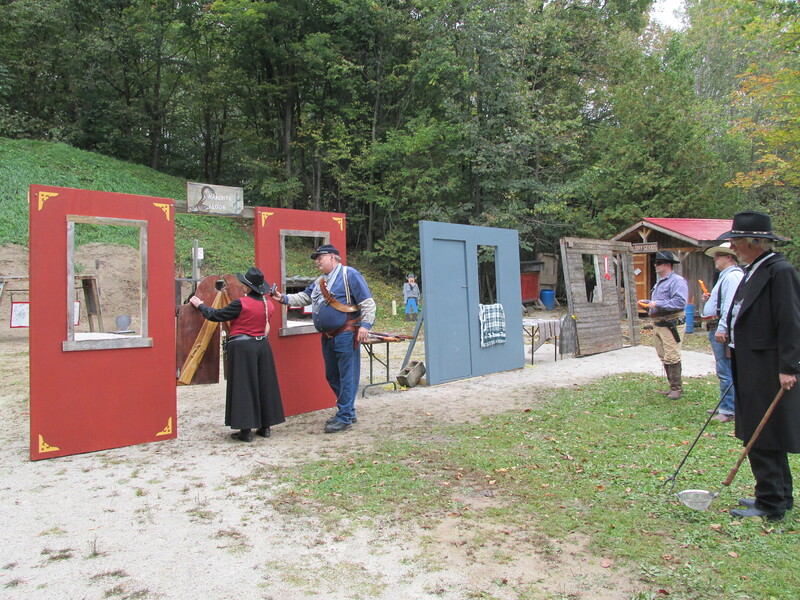 Thanks Buckshot Chuck for taking charge once again. The training sessions have begun. Stage 1 the grip, stage 2 bring gun out of the holster, stage 3 push forward and pull hammer back, stage 4 squeeze the trigger.